Promote Your Chiropractic Practice To Gain New Clients And Exposure! For over 8 years, Search Berg has proudly worked with many medical practitioners in the United States and across the world including chiropractors, who are some of our top priority clients. Chiropractic Internet Marketing is our forte. We work with chiropractors from across the country in order to promote their website and services through chiropractic SEO. We understand that this is a tough industry which is why we have done extensive research on how to optimize such websites for Google and the target audience. A visible increase in organic traffic—more traffic means more visitors and more patients. Dropping bounce rate—strategic keyword mapping, valuable content and CTAs that work! Great quality content for enhanced online presence and visibility. White Hat Linkbuilding strategies that keep your website free from Google penalties. We also offer a 30-day money back guarantee—that’s how sure we are. If your website is not ranking in 30 days, we will return the retainer no questions asked. What are you waiting for? Take your chiropractic practice to the next level. Start getting new patients and promote your services online with confidence. 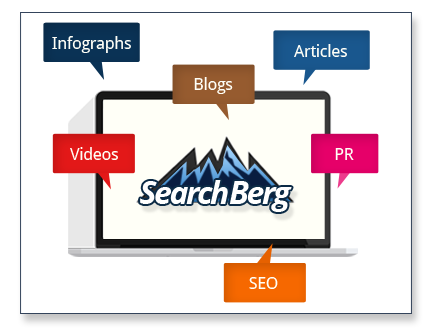 Hire Search Berg for chiropractic SEO today. Content Driven Chiropractor SEO For Your Practice That Delivers All the time, Every Time! When we started working for them 2 years ago, they were not ranking for any keyword. Today, they are on the first page for 30 keywords, most of them 2-word and 3-word search terms with high traffic. Their branding has been improved by our work over the years and they are getting calls daily for new patients. They couldn’t be happier! The keyword rankings highlighted below are a testament to Search Berg’s expertise in Organic SEO. These rankings speak volumes about our expert SEO services and vast knowledge of digital marketing that we bring to the table, when working with clients. Chiropractic SEO Marketing that brings Rankings, Results and Sales!